It was almost one year ago when we had decided to dive into the world of the chicken. We had never raised anything, except dogs, cats and children. We were very trepidatious….chickens, can we keep them alive long enough to get an egg? 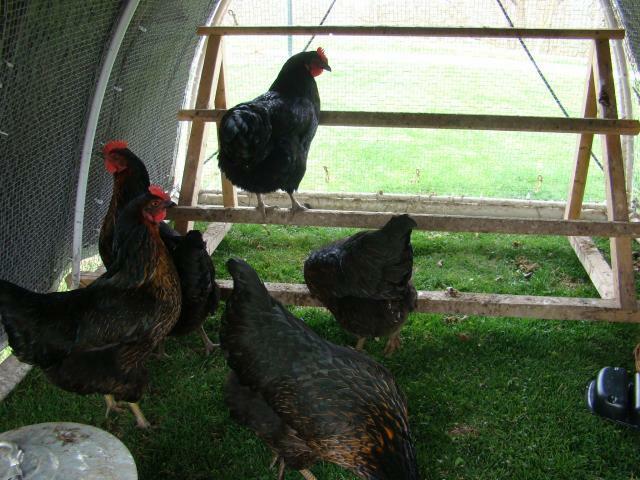 We bought 10 Black Star hen peeps on May 29, 2009 and brought them home to their brooder box in our garage. They moved into their new portable digs a month or so later. All went well until one of the girls(named Nancy Pelosi) got out (I think she was tricked by some other hen) and landed into the mouth of Max, our german shepherd. 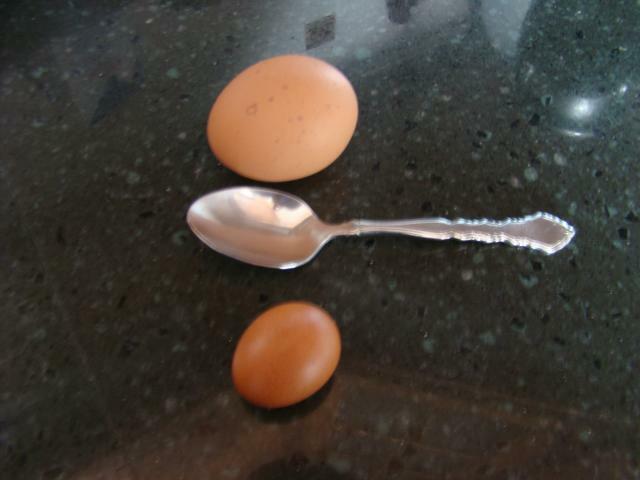 Now the girls give us 7 - 9 eggs/day. And we are getting 6 more hens this year!